generation of several informative reports based on readings taken from the robotic crawler vehicle inside the designated sampling environment. reporting ability for the desired methodology can be added. 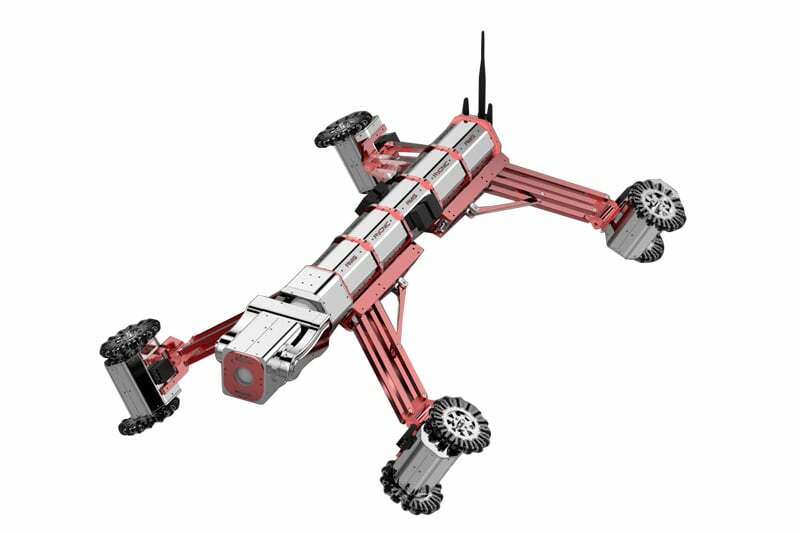 Contact us to find out more about the Rmis Maxi (8×8) or any of our other robotic crawlers and tractors, or click to view our full pipe inspection camera range. The RMIS MAXI (16x16 Drive) with its 8 Leg X configuration ensures ultimate grip for horizontal or vertical applications. Ideal for medium to long range runs in medium to large diameter pipelines in wireless or tethered configurations. With the addition of a magnetic attachment for its parallel chassis, the Versatrax 100 pipe inspection camera is able to climb steel walls and pipework. The Versatrax 150 Pipe Inspection Systems combine advanced pipe inspection camera technology and precision manoeuverability with power, reliability and functionality.